Using a cobbler to solve your shoe and boot problems can save you money. 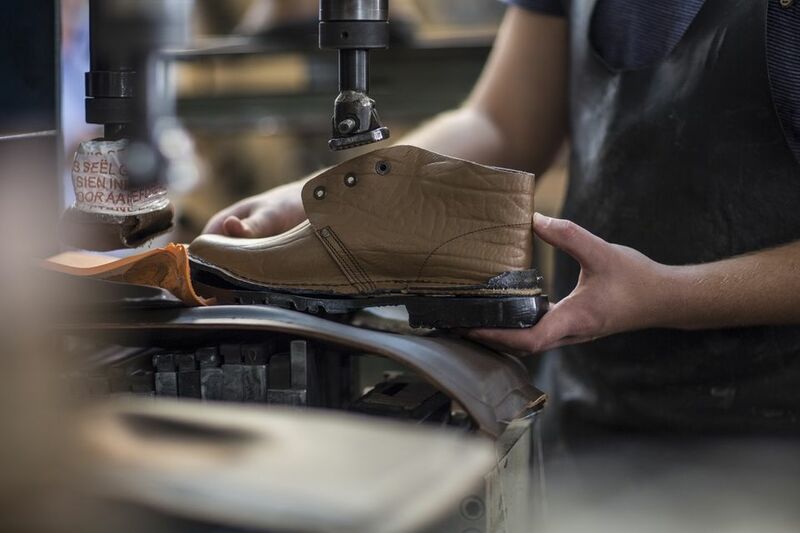 A good cobbler can transform your shoes into something that very closely resembles “new.” Better yet, when you buy a new pair that looks great but just doesn’t fit right, a cobbler can help. Before you buy a new pair of shoes or toss the ones you just bought, consider all of the shoe and boots problems that a cobbler can fix. Aside from the obvious (Googling "cobbler" or "shoe repair" and your location), there are a few good ways to find a professional cobbler. If your dry cleaner does tailoring, they probably know of a reputable cobbler. Similarly, department store shoe departments should be able to point you in the right directions. Failing that, your own network on Facebook or other social media will have some recommendations. A pinched toe or tight heel: Stretch them. If you’ve bought a pair of shoes or boots that are a bit too tight, a cobbler can stretch them out for you with a stretching machine. The best part? A cobbler doesn’t need to stretch the entire shoe; if only one part is hurting you, they can stretch just that spot. Wear your shoes or boots around the house with your thickest socks. Place a bag of water inside the footbed of a pair of shoes or boots and place them in the freezer. Bonus: Rubber soles are also more comfortable. Change a wide heel into a stiletto. Widen a stiletto into a traditional heel. A stiff in-sole: A cobbler can add padding to the insole and arch. Apparently, this is how Kate Middleton manages to effortlessly walk down and up cobblestone roads and paths all over the UK in super skinny heels. Smelly: Yes, a cobbler can clean and recondition your shoes and boots. Not water/weatherproof: You can have the outsides of any boot or shoe waterproofed. How convenient for those living in the northeast and midwest dealing with slush all winter, or those in the northwest dealing with rain! Too wide/too narrow: Do you have wide or skinny calves? A cobbler can stretch or tighten the shaft of a boot. Straps too long/too short: If your straps on your strappy sandals or slingbacks are too long or too short, a cobble can tighten or lengthen them so they fit just right. Tip: Once you get your shoes back, don’t expect them to fit exactly the way they previously did; think of them like new shoes you need to break in.